Nothing beats biting into a freshly picked, autumn harvest apple. The same goes for all the other seasonal fruits and vegetables. 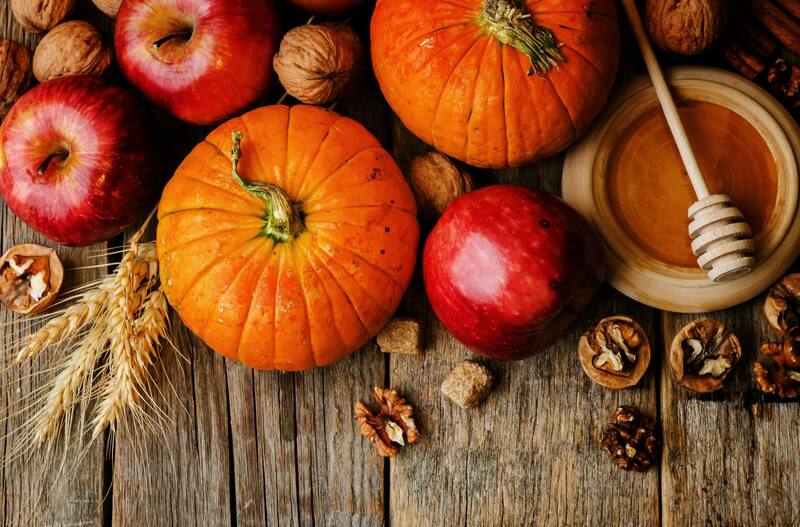 Fresh, locally grown fall produce is at its tasty best at this time of year—so indulge! Anyone who’s been to a farmer’s market in fall knows what delicious bounty the season brings. Markets and grocery stores are filled with a colourful array of foods that will inspire even the most reluctant cook! Locally grown fruits and veggies appeal on more than one level. For one thing, they don’t have to be trucked in from across the continent—a definite plus for the planet. They’re also packed with valuable nutrients. And best of all, they’re at their flavourful peak at the height of the harvest. So here’s a look at some favourites that deserve a place of honour in your kitchen this season. “A” is for apple, a fall all-star if there ever was one. From the classic McIntosh to more recently introduce varieties like Honeycrisp and Ambrosia, apples make an ideal snack food and are a versatile companion in the kitchen, too. What’s more, they’re rich in antioxidants, flavonoids, and fibre, which are all important for a healthy diet. “B” is for beet, the humble root vegetable in the midst of a resurgence. Beets are popping up all over the place these days. Red or golden, beets are rich in potassium, betaine, magnesium, folate, and vitamin C and can help reduce blood pressure and anemia while improving circulation. Grate them in salads or use them as a colourful addition to omelettes, stews, or stir fries. “C” is for cranberry, an antioxidant powerhouse. We tend to associate this bright red berry with Thanksgiving turkey and cranberry cocktail. But fresh cranberries make a deliciously tart addition to oatmeal, salads, meat dishes, and more. “E” is for eggplant, sometimes overlooked. Eggplant is far more versatile than some people realize. Sure, it’s great in ratatouille, but that’s just a start. Slice it and roast it with a drizzling of olive oil. Cube it and throw it in a stir-fry. Sauté it and toss it with pasta. Stuff it and bake it. You can even grill it on the barbecue! “K” is for kale, a green garden delight. Hardy kale will keep growing until the ground freezes in winter, and gets sweeter with a touch of frost. Young kale leaves are delicious in salad, while mature leaves can be chopped and roasted to make chips or added as greens to a host of dishes. And these are just a sampling of the autumn delights on offer at your local market or grocery store. So stock up on fall favourites or try something new—and make the most of nature’s bounty before winter sets in!